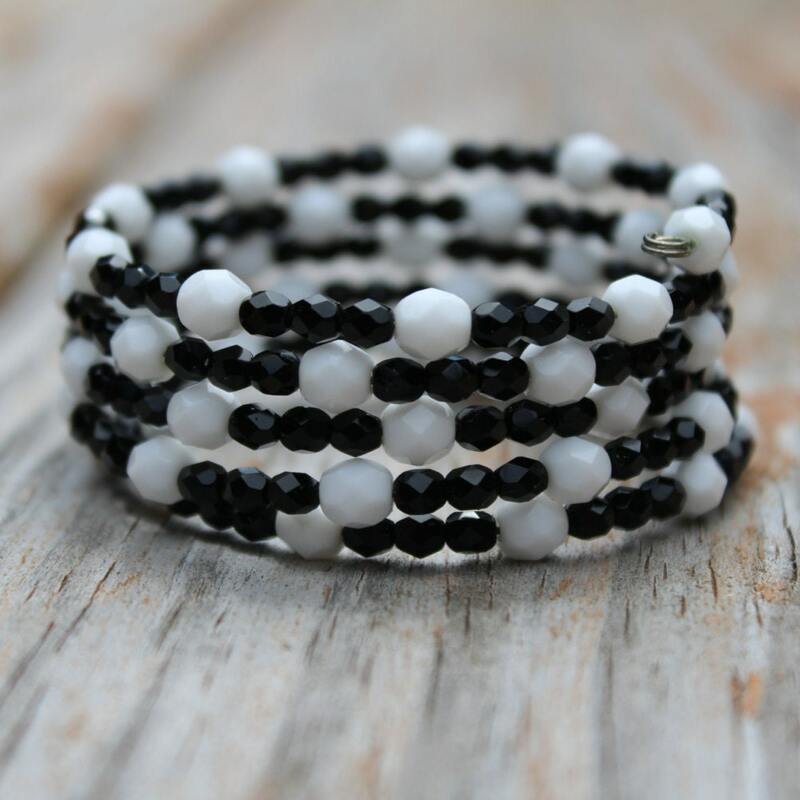 Black and white, the style that's "always in" no matter what! 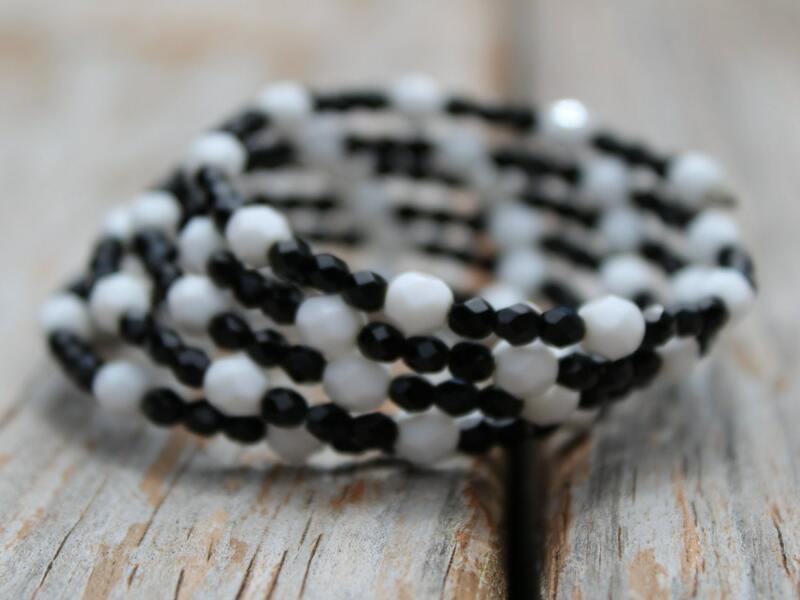 This black and white beaded memory wire bracelet is 1 inch wide on the wrist. Some people have to wear multiple bracelets to achieve this look. Why bother? Put on one, easy to put on and take off, comfortable to wear bracelet, and you're off and running! 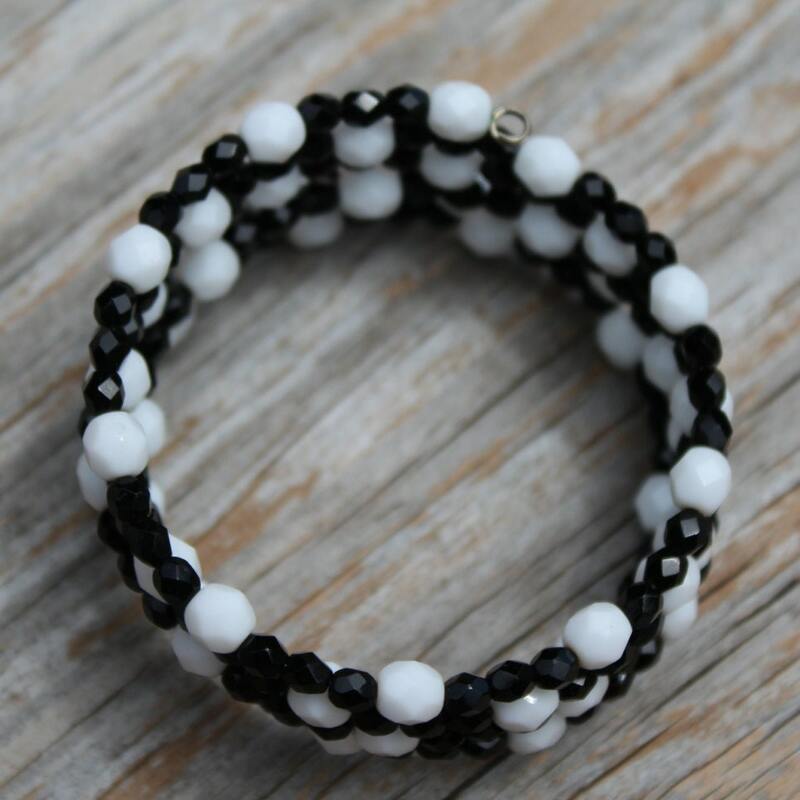 This bracelet is free of clasps so it makes getting your jewelry on a breeze! Simply "hook" one end onto your arm and wrap the rest around! So simple!